WEALTH IS THE FREEDOM AND ABILITY TO DO AS YOU CHOOSE WITH YOUR TIME. Some of us dream of paying our bills each month without the burden and worry of whether there will be enough. Others have visions of helping family members or even helping their neighbourhoods and communities in meaningful ways. And of course, at one time or another, each of us has dreamt of a restful vacation with those we love, cherishing the happiness that comes when we are stress-free. These are not just dreams; they can become reality with hard work put into the right business. Q10, the super hybrid compensation plan from QNET packs the Power of Ten into your business to help you achieve these dreams and more. You are in the business for yourself but not by yourself. 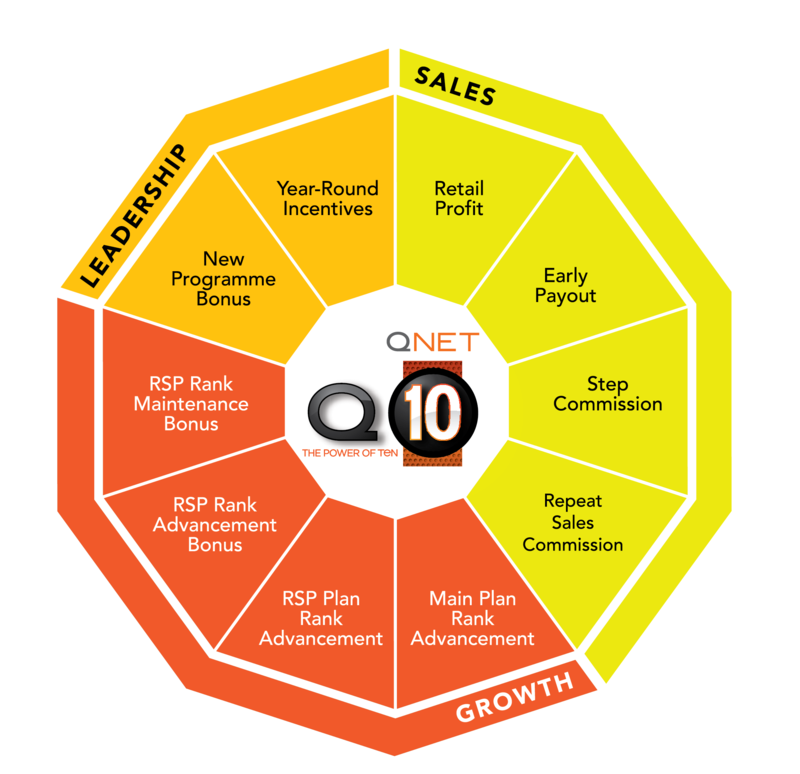 You are QNET’s most important asset and with Q10, we are rewarding you with a dynamic compensation plan that will let you live your dream and build your prosperity. In addition to 10 income channels, the plan’s strongest aspect is the ability to create more! MORE volume, MORE income, MORE often. All you have to do is focus on these key behaviors: Refer, Repeat, Rise and Retain.